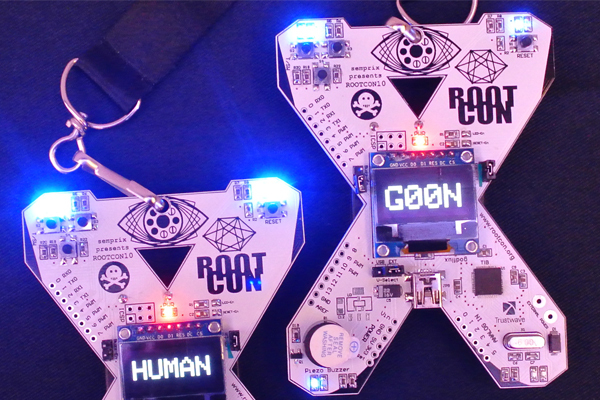 Black Badge has been adopted from DEF CON, a black badge is one of the highest honors given to the ROOTCON con-goers who proved their elite skills, black badge are also given to people who have significant contributions to the local InfoSec community. 1. Join the official ROOTCON contests. 2. Make significant contribution to the local InfoSec community. 1. Free single pass to the next ROOTCON event. 3. Your name / team name will be put up on the ROOTCON Hall Of Fame. 1. Black Badge is only valid a year after you acquired the black badge. 2. The black badge is non-transferable.